Designed to give a deeper assessment of your Portfolio Health & maturity. 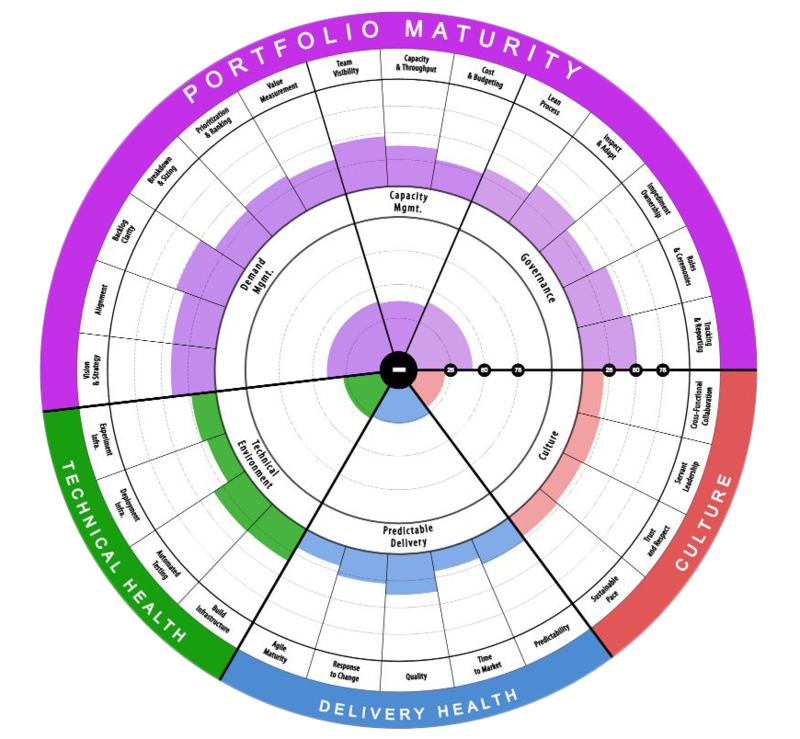 This radar explores how well you’re managing your demand, aligning it with capacity, providing lean governance and additionally explores the dimensions of: Culture, Delivery Health and Technical health across the portfolio. Members of your Portfolio Team to include Portfolio Managers, Sponsors/Executives & Architects. Once a quarter or 3 times per year to check-in on the health of the Portfolio.